Meet Mr. Ugly, a bike only a mother could love. 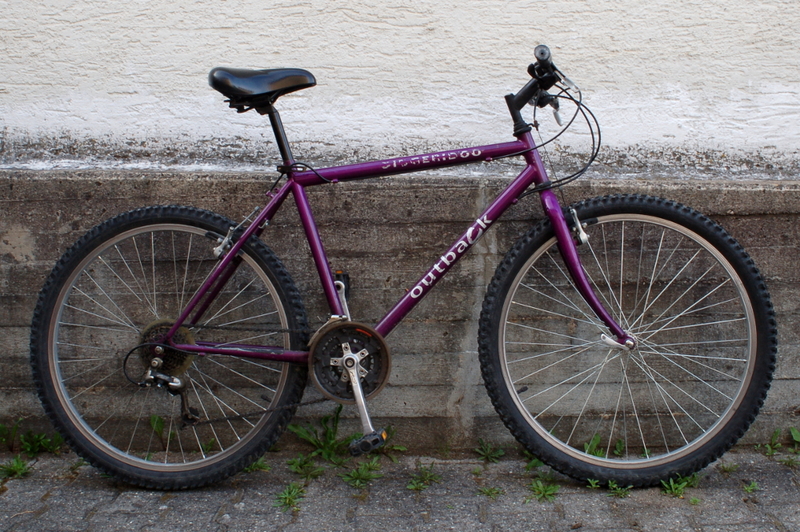 I’m guessing this dates from sometime in the mid 1990’s, because I can’t imagine another time when a design committee would have looked at a mountain bike and a colour chart, stared at each other an in unison whispered ‘Purple‘. As if that wasn’t enough they then went and upped the ante by giving it the name ‘Didgeridoo‘. 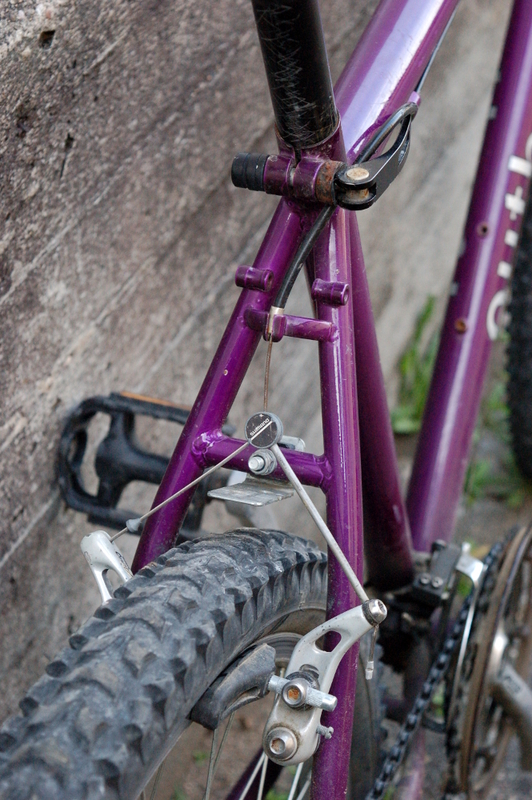 Close up the bike is a small rolling museum to 90’s MTB technology. 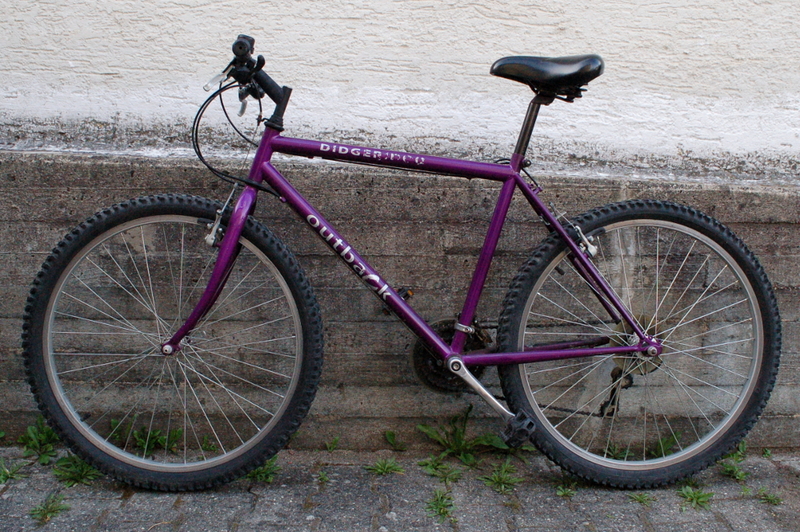 It is almost identical to the original setup on the Raleigh bike that became the front half of the Xtracycle. 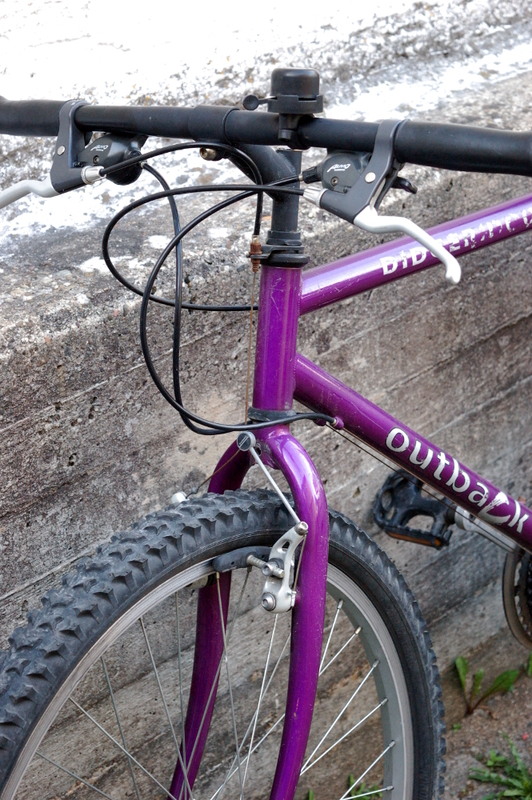 So the goal now is to turn this into a retro-styled drop handlebar commuting/touring bike. Just because. Step one is to replace these handlebars with a pair of drops salvaged off an elderly racing bike and hoarded for six years in case they might become useful, and add some bottom bar levers from the same source. If we get on with the drops we’ll make the world a slightly better place by taking the bike to bits and spraying it a different colour. 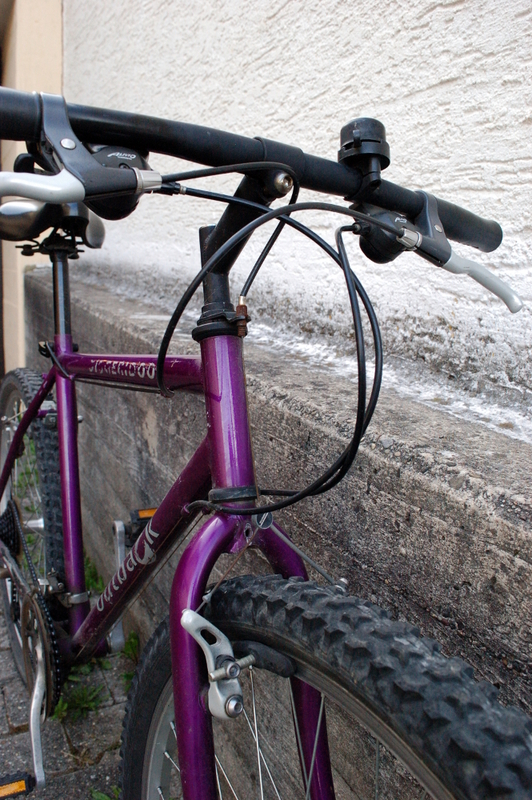 Then we’ll add mudguards, breaks and wheels from the hoard of bike bits that infests the cellar (and apparently includes a breeding colony of straight handlebars) to make it an all weather bike with luggage rack. 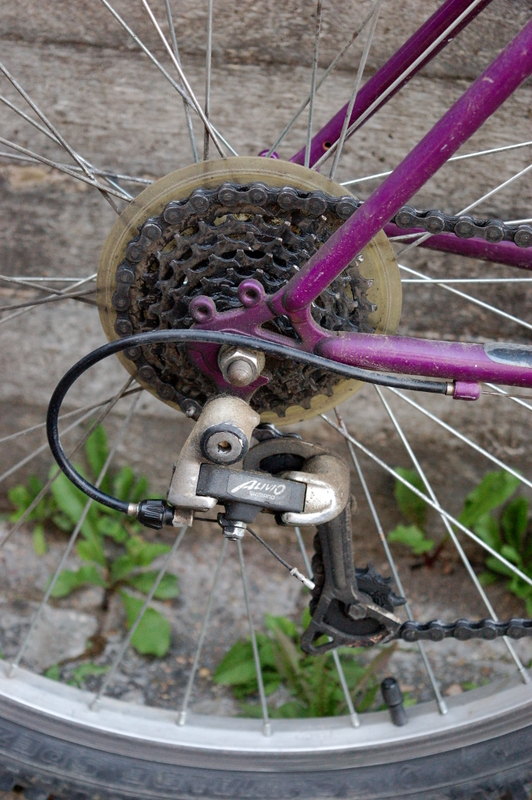 Otherwise we’ll do much the same but with straight shifters. reminds me of the red Giant I used to commute on in the noughties! 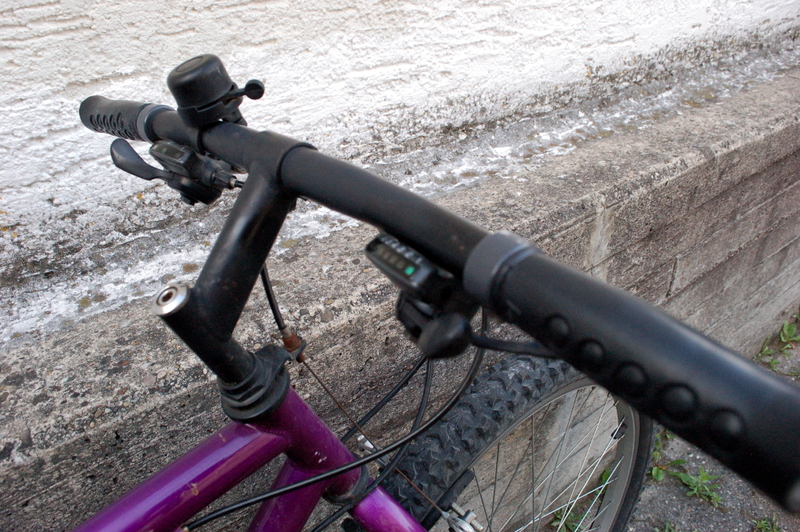 « Bike Hunt 2: ‘The 90’s are calling’.